Running for his life wasn’t exactly what Portland PI Jake Brand had in mind when he accepted his latest client—but that’s exactly what he and Sarah, his best friend and assistant, find themselves doing in this heart-pounding sequel to Angel’s Devil. Deception fueled by money begins when a beautiful woman throws down serious cash for Jake to find her missing boyfriend. Violence follows when Jake and Sarah discover the couple is connected to a hacker who colors outside the lines, a beautiful pharmaceutical sales rep, a slimy cop who can’t take a punch, and a federal agent bent on hiding the truth. They all know too much—and soon enough, so do Jake and Sarah. Jake Brand is racing to the bottom. No longer in the army, recently divorced, and feeling older, he spends his time looking for happiness at the bottom of a bottle. As a result, his Portland, Oregon, private investigation business suffers, and his friends feel the need to shake him back to reality. Then Heather walks back into his life. Jake, Heather, and Tony were best friends growing up. But Heather and Tony became a thing, and Jake became a third wheel. Now Tony has been murdered, and Jake, the knight in rusted armor, wonders if Heather is a damsel in distress encouraging him to come closer, or a dame seeking a temporary safe haven. 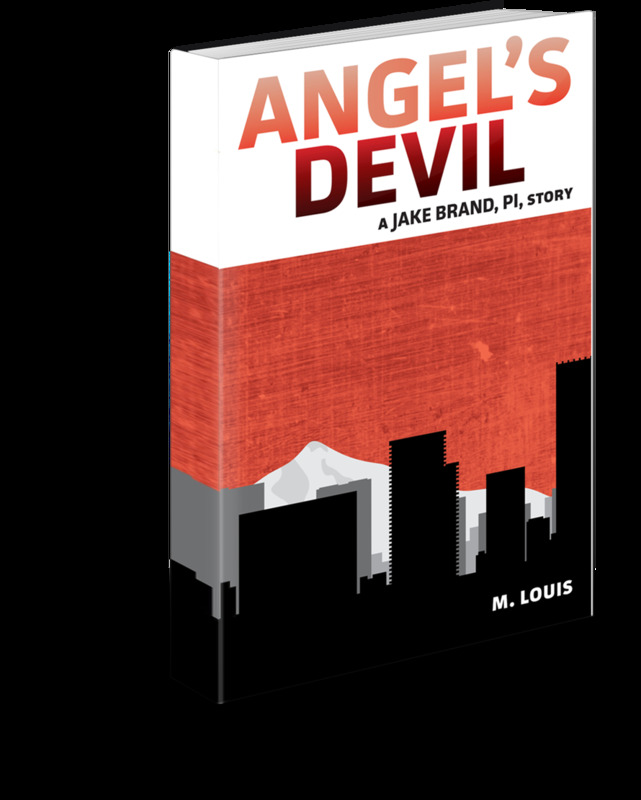 In Angel's Devil Jake and his assistant, Sarah, follow the clues, steps ahead of danger - the bad guys killing again, and Heather breaking Jake's heart a second time. Does Jake solve the case? Does Heather save Jake's heart? Does Sarah smack Jake for being a moron? The first two book in this series, Angel’s Devil and Secondhand Smoke, are currently available, and he has plans to release the third book in the next year. He can be contacted through his publicist, Jessica Glenn at Mindbuck Media mindbuck@ymail.com and 503-998-8770. The media kit includes a bio, interview, links to social media, as well as hi-resolution images of the author and book covers. "A thriller full of twists and turns"
"Fun yet full of twists and turns. Colin Iago McCarthy does an excellent performance." "There were times wherein I had to stay a few minutes longer in the car just to finish a chapter." "If you are looking for a fast-paced and action-packed detective thriller that reads/sounds like a proper action movie, Secondhand Smoke is definitely a great choice." "The twists and turns of this whodunit make it a fun listen"
"Masterful story-teller, Louis keeps the listener on the edge of his seat."